San Diego County sheriff’s investigators are asking for public assistance Thursday in identifying and locating suspects connected to the burglary of an elderly person’s Escondido home. 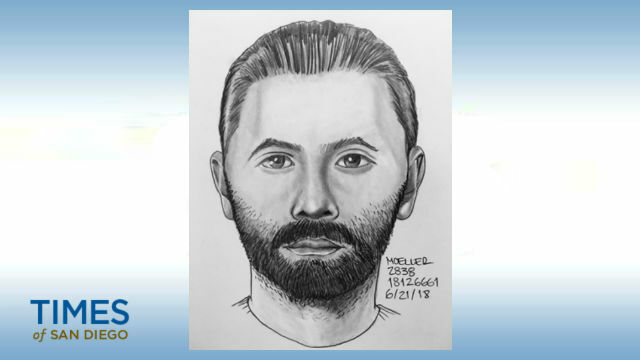 On May 23, a man posed as a water district worker and told an elderly resident in the 600 block of Via Rancho Parkway that he needed to come into his home to inspect the plumbing, according to San Diego County Crime Stoppers. Once inside, the man lured the victim to the backyard and distracted the victim’s attention away from the house. While the victim was outside, an additional suspect — or possibly multiple suspects — entered the house and stole valuables. The suspect who posed as a water district worker was described as a 5- feet-10-inch white man, weighing 160 pounds with short black hair and a black beard. The suspect was wearing dark-colored clothing that resembled a uniform and was able to speak in a Russian-sounding language, officials said. Anyone with information on the identity or location of the suspect is asked to call the San Marcos Sheriff’s Station at (760) 510-5200 or the Crime Stoppers anonymous tip line at (888) 580-8477. Crime Stoppers is offering up to a $1,000 reward to anyone with information that leads to an arrest in the case.